WASHINGTON – The United States Mint (Mint) officially unveiled the reverse (tails side) design for the 2019 Native American $1 Coin in the 2018 winter issue of the National Museum of the American Indian’s eponymous quarterly magazine. The 2019 coin design celebrates American Indians in the Space Program. 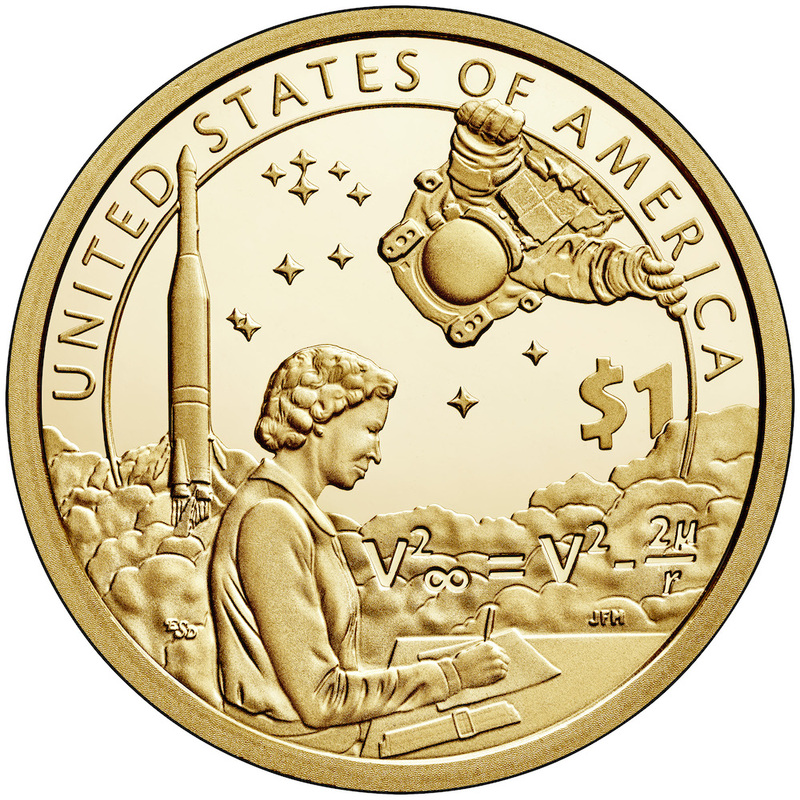 The reverse design depicts renowned engineer Mary Golda Ross writing calculations. Behind her, an Atlas-Agena rocket launches into space, with an equation inscribed in its cloud. An astronaut, symbolic of Native American astronauts, including John Herrington, spacewalks above. In the field behind, a group of stars indicates outer space. Inscriptions include “UNITED STATES OF AMERICA” and “$1.” Mint Artistic Infusion Program designer Emily Damstra created the design, which Mint Sculptor-Engraver Joseph Menna sculpted. The obverse (heads) of the Native American $1 Coin will continue to feature the central figure “Sacagawea” carrying her infant son, Jean Baptiste, by sculptor Glenna Goodacre. Inscriptions are “LIBERTY” and “IN GOD WE TRUST.” The year, mint mark, and “E PLURIBUS UNUM” are incused on the edge of the coin. Click here to view the 2019 Native American $1 Coin design. The Native American $1 Coin Program is authorized by Public Law 110-82 to recognize the important contributions made by Native American tribes and individual Native Americans to the history and development of the United States. The public law mandates that a reverse design, with an image emblematic of one important Native American or Native American contribution, be issued at a rate of once a year.